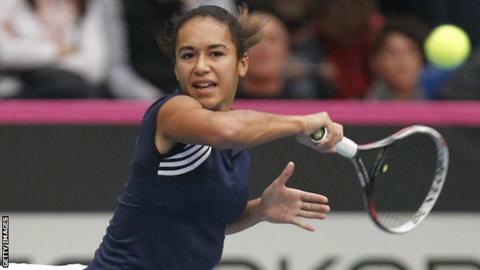 Heather Watson has made it through to her second quarter-final in as many weeks after her second-round win at the Prague Open on Thursday. The British number three and world number 112 from Guernsey beat Slovakia's Petra Uberalova 6-1 6-4. She will face Czech Republic's fifth-seeded world number 65 Karolina Pliskova in Friday's last eight. Watson beat the second seed and world number 31 Klara Koukalova 6-2 6-4 in the first round.